♡ Hi Loves! I’m thrilled to finally release the preview of this next Embellished Denim Collection! It took a lot of work to create, photograph and curate this many jackets for the web and amidst all of the Halloween orders I feel like I’ve been hibernating in the office (in the best way possible). I’ve said this before, but I can’t stress enough how important it is to log on right as the jackets release if there’s one below you’ve fallen in love with. These are all one of a kind and they sell quickly, so best to make moves as soon as possible if you love any one particular style. In case you need a reminder, the collection hits the Wild & Free Jewelry website on Sunday, October 15th @ 5pm, California Pacific Time. This time around I’ve also included some important notes on sizing, shipping and material sourcing at the bottom of this blog post. 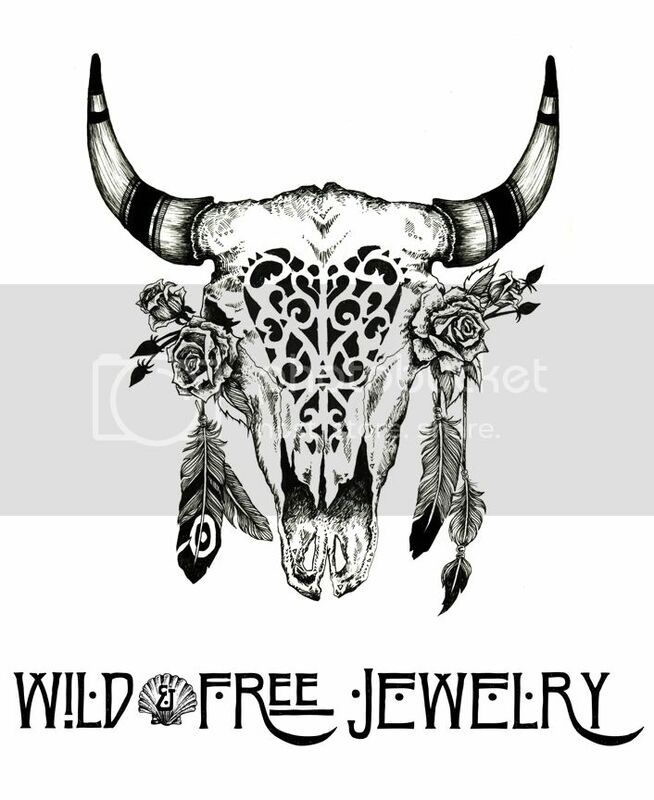 If you’re new to discovering the work I do for Wild & Free Jewelry be sure to take a peek at this information as it may include answers to some of your questions. This giveaway has resulted in one of my favorites so far as having the entrees accessible via my blog made it way easier to read and keep organized. There’s many of you that I want to write back to because what you wrote really resonated with me, but it’s looking like I’ll have to find the time after the Halloween rush. I sincerely appreciate the thoughtfulness everyone put into their entrees and thank you for creating a lovely spiral of positivity within my Wild & Free virtual world. Out of the 288 entrees, I used a random number generator to select a winner, and the result is a participant named Jaclyn! Dreamy vintage or second hand denim reconstructed with fair trade elephant textiles and cascading beaded fringe. These simply elegant designs go with nearly any outfit! For the October collection I decided to bring back the original way I used to sew the Embellished Elephant Jackets, with a lace overlay along the back panel. These creations are extra special and sparkling. Each style includes a subtle floral pearl detail along the front shoulder seam. Whenever I look at photos like this I’m reminded of when I first started to make embellished denim nearly two years ago. At the time, all of the styles I designed looked this way. Since then, I’ve made a few adjustments and now work with salvaged Indian Sari fabric for the back panel, making the jackets a bit lighter than their past designs. The intricacy of these is hard to capture on camera and should you fall in love and secure one of the above two, you’ll be even more amazed when you see the jacket in person. If you follow this blog closely, you know I’ve had my sights set on creating more of these as soon as I started dreaming up the October collection. There’s one photo from the first time I shot the Thai Floral Jackets that’s been reposted more times than I can count on Instagram and I receive rushes of e-mails and DMs about where to purchase the jacket that sold over a year ago. Finally, I have more jackets similar to that majestic photo! These are my absolute favorite and I hope you love them too! In an effort to reduce textile waste and reuse once loved clothing, all denim jackets used are sourced from vintage or second hand suppliers. Because of this, each jacket may show slight signs of wear from its past life. Due to their vintage nature, all sizes are slightly different. Please be aware these styles are designed to be worn oversized and will be loose in the shoulders and wide in the sleeves. Be sure to check the sizing measurements on the website at time of release if you are unsure of the fit. The Embellished Elephant & Thai Floral designs feature fair trade textiles ethically produced in Thailand. Posted in the wild & free blog, wild & free jewelry and tagged boho festival jacket, bohomian jacket, custom, denim, denim jacket, denim jacket release, elephant, embellished, embellished denim, festival denim jacket, wild and free denim, wild and free denim jacket, wildandfree, wildandfreejewelry. Bookmark the permalink. wow, the embellished elephant lace designs are so beautiful! I am so happy with mine and was surprised by how good you can wear them without risk of ruining them. When I got mine I always worried that it might break and used it mainly as room decor haha. But not anymore! I would love to buy another one. But hoarding two of those beauties when someone else might miss out feels kind of wasted. Thank you for bringing beauty into the world, by photography, designs or what I love most, text!